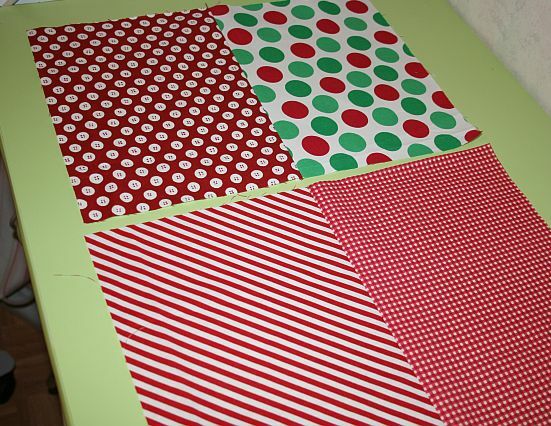 In the holiday spirit of trying to bust my fabric stash…… I decided to use up some remnants of Christmas fabric and make my family some much needed table decor. Behold, the Quilted Place Mat! 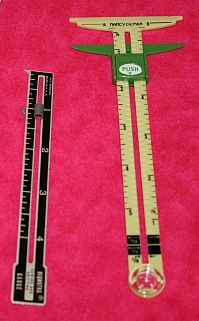 For those of you who are only here because you’d like to see some tips for using the 1/4″ foot and other accessories, I’m putting those video links just after these remarks. 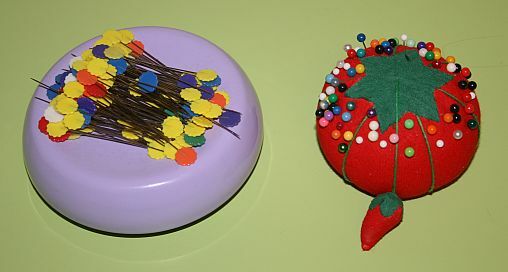 The details about the place mat tutorial are found just below the video links. 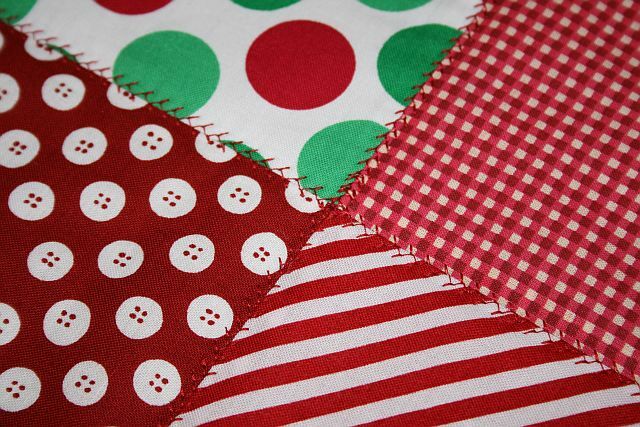 Cut 4 rectangles of each 1/4 yard fabric,(9 & 3/4" x 7 & 1/4") and arrange as desired for place mat front. 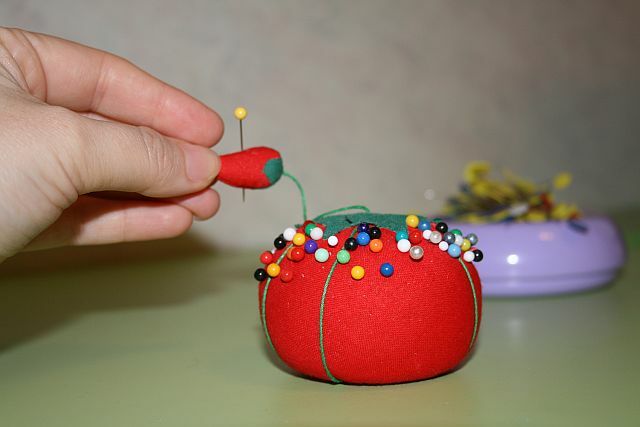 Use the 1/4" foot to sew the front pieces together with a 1/4" seam. 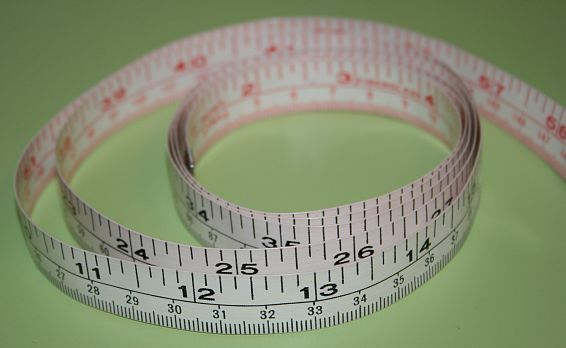 Fabric A is joined to Fabric B. 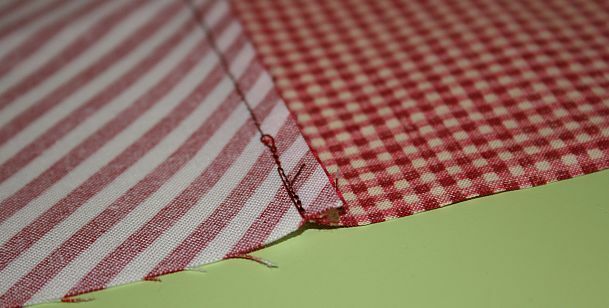 Fabric C is joined to Fabric D.
Press Fabric AB's seam one direction. 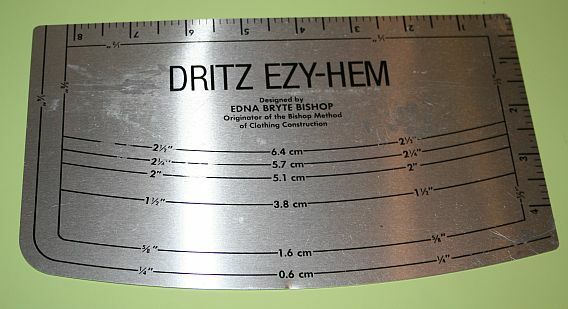 Press Fabric CD's seam the opposite direction. Lay fabric AB on top of Fabric CD, aligning the seams. 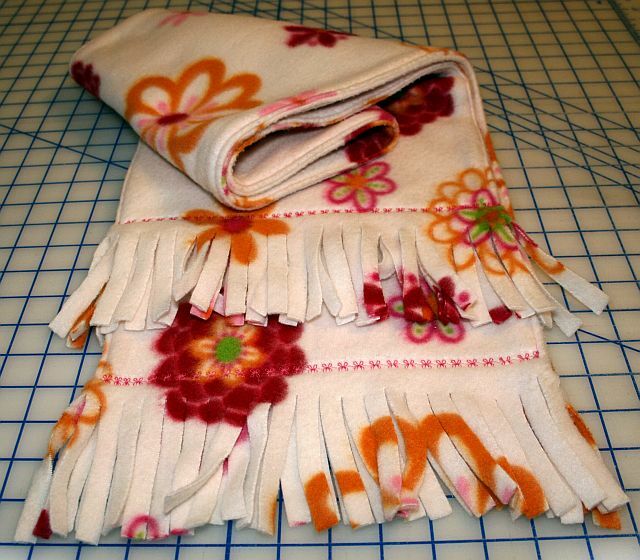 Fuse the fusible fleece to the wrong side of your place mat topper. 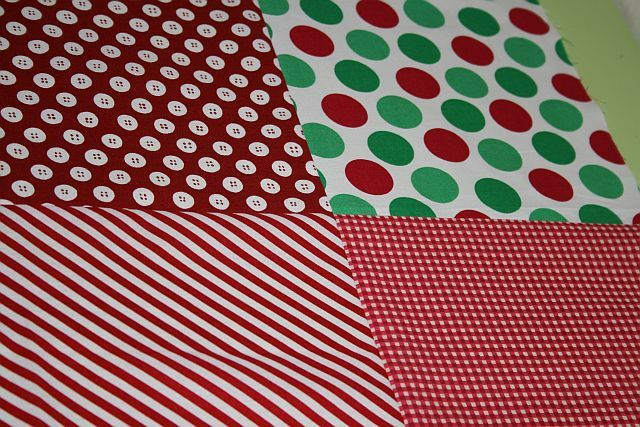 Lay the place mat topper on top of the place mat backing fabric with right sides together. 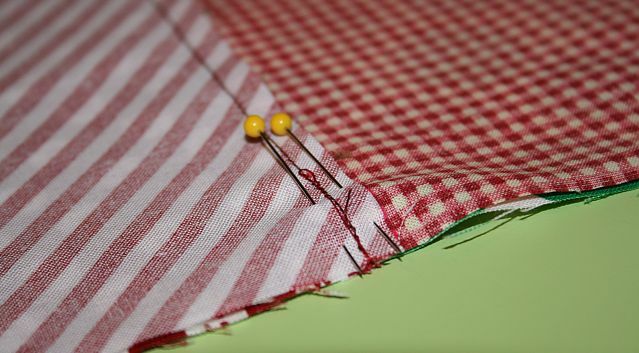 Sew around the perimeter with a 1/4″ seam allowance, leaving an opening for turning right side out. 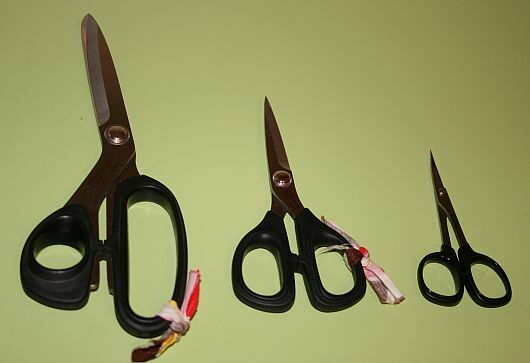 Clip the corners diagonally and turn right side out. 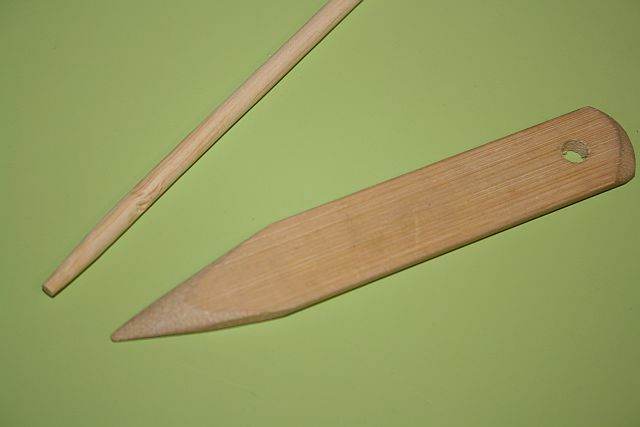 Use a point turner to shape the corners. Press your place mat. 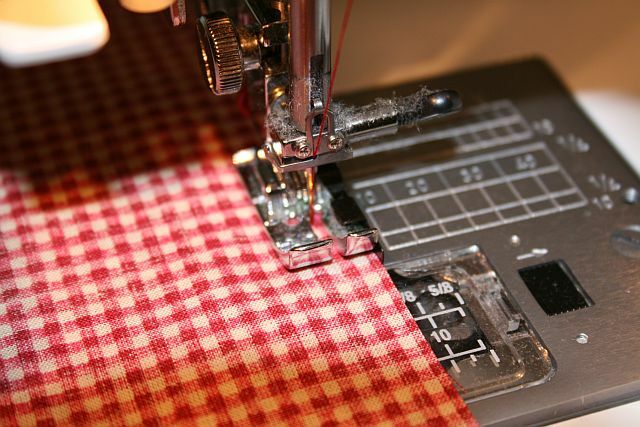 Turn under the remaining seam allowance at the opening and pin closed. 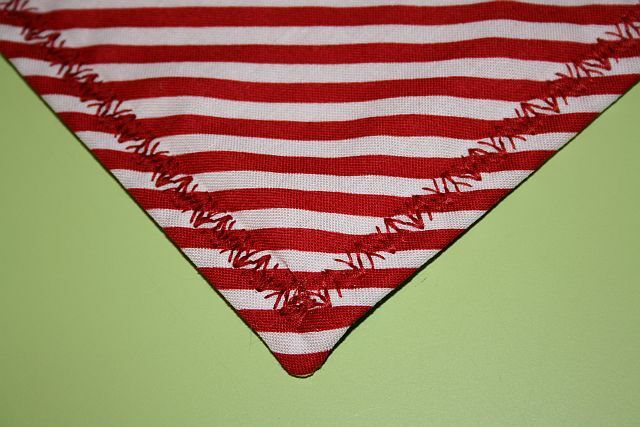 Choose a decorative stitch and sew around the border of your place mat. This will also close the opening. 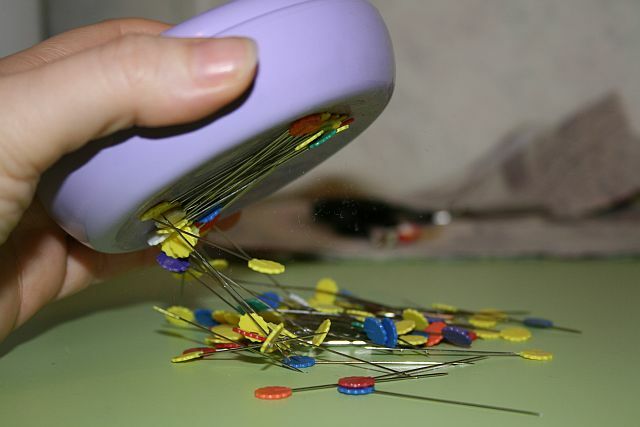 Use your ditch stitching foot to stitch the center and cross wise seams of your mat with a decorative stitch. 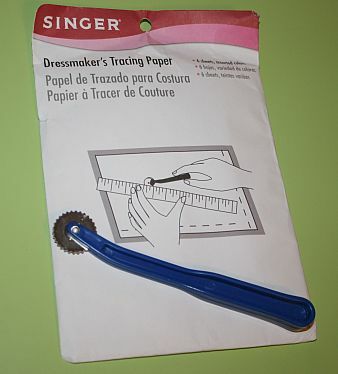 You can also use your quilting guide bar to help you stitch rows of parallel lines across your mat, etc. Repeat all steps for remaining mats. Enjoy! 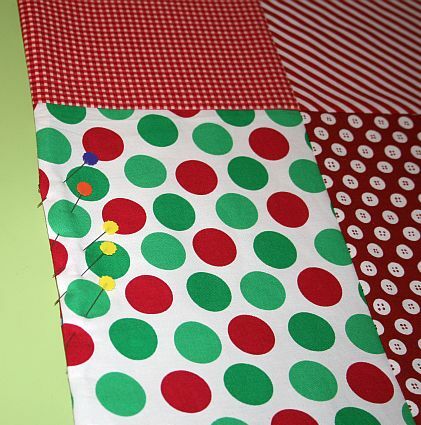 This entry was posted in Home Decor, Project Tutorials, Video Library, Videos: Notions & Accessories Tips and tagged 1/4" foot, quilt guide bar, stitch in the ditch, walking foot on December 6, 2011 by Jenny Gabriel. 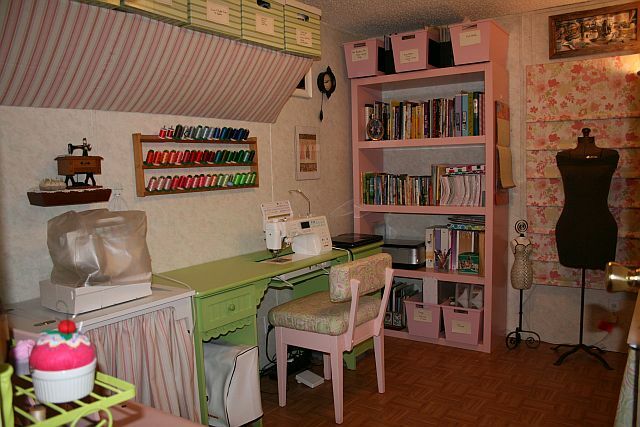 Having a sewing/crafting room all to yourself that is truly just for you, is a real luxury. Sometimes this is achieved by the joint efforts of a husband-wife team. 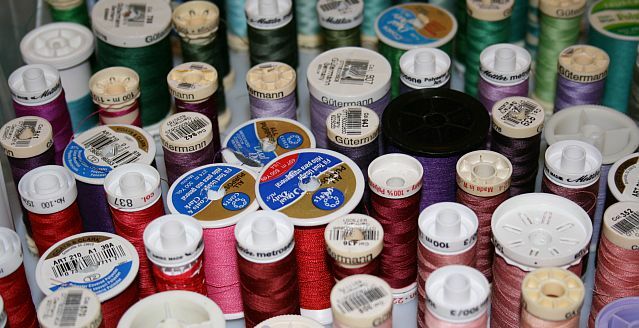 And, sometimes, it must be achieved slowly, over time, in stealth mode…..
Over a period of about 4 years, I slowly overpowered an entire room of our home with all of my sewing/crafting supplies. This was a deliberate process. At first I started out with putting a regular computer desk into our spare bedroom. This desk often did double duty as a sewing table, but it was just too high to use comfortably. 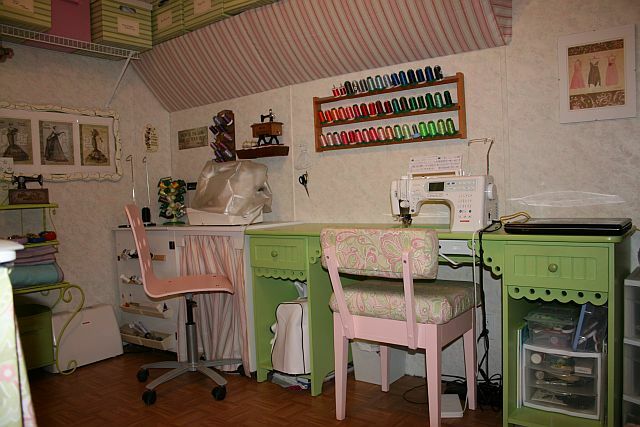 So, eventually I “had” to bring in an official sewing desk. 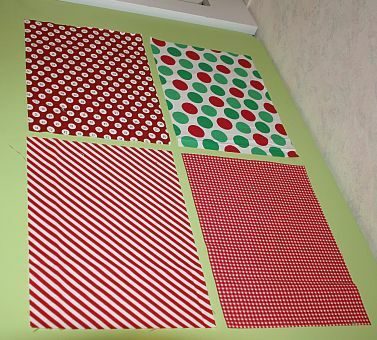 Then, it became difficult for me to prepare meals in my kitchen because my large counter-top was also my fabric cutting area. 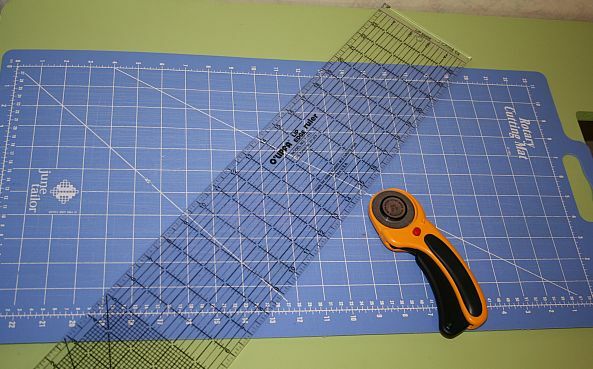 So, I “needed” to buy a fold-away cutting table and large rotary cutting mat. Anyway, having a room all to yourself is a real treat. 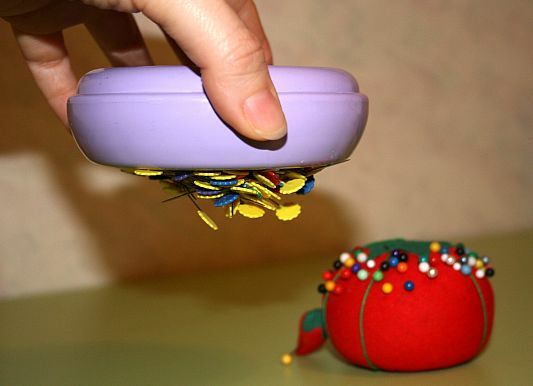 But having one that is decked out with your own personal touches is even better! 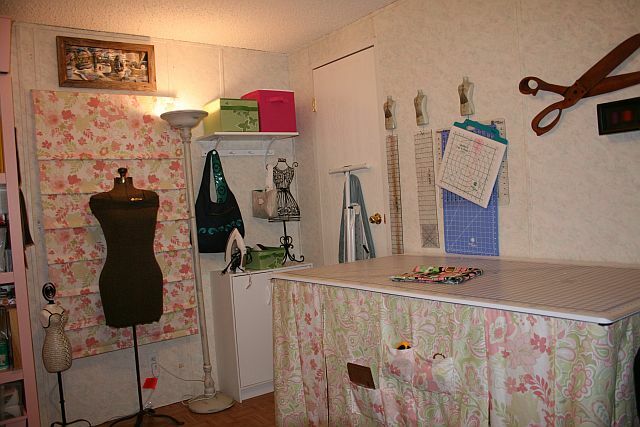 So, here are a few pictures of my room AFTER I decided I would also use it for teaching sewing lessons. I really enjoy using this space for teaching classes and for creating my own projects as well. Even though I absolutely love this room, I can understand if the pink and green theme may not be quite your preference. So, I am posting a short video clip of our beloved, Nancy Zieman, giving us an inside peek at her personal sewing room aka “Dream Sewing Studio by Koala.” It is VERY classy and amazing. Happy viewing, shopping, sewing, and crafting! p.s. 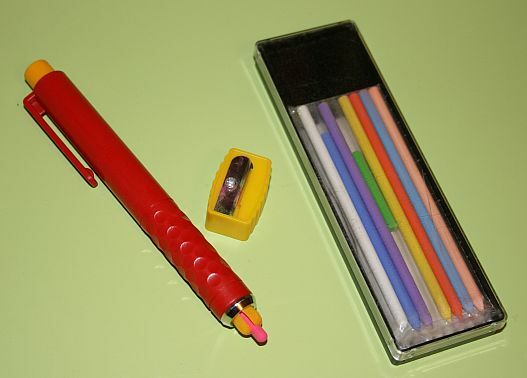 Have you entered our give-away yet? There’s a contest link at the top of this blog post. Yep! Way up there! 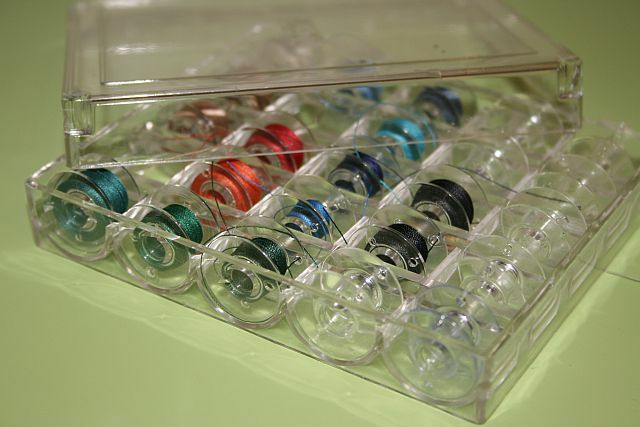 This entry was posted in Cabinets: Arrow, Cabinets: Koala, Featured Machines & Cabinets, Just for Fun, News, Video Library, Videos: Notions & Accessories Tips and tagged Arrow, Koala, Sewing Room, StitchinJenny on November 28, 2011 by Jenny Gabriel.